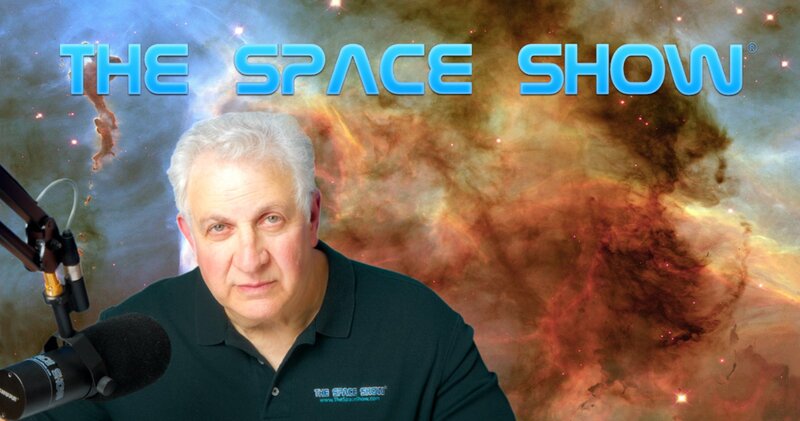 We welcomed back to the show Dr. Henry Hertzfeld to address thinking about outer space as a global commons and much more. I strongly suggest you read Dr. Herzfeld's paper on the topic (with his wo co-authors), "How Simple Terms Mislead Us: The Pitfalls of Thinking about Outer Space as a Commons. You can find the paper here: https://swfound.org/media/205285/how-simple-terms-mislead-us-hertzfeld-johnson-weeden-iac-2015.pdf. During the first part of the initial segment, our guest referenced many of the definitions and clarifications cited in this paper so do have it available as you listen to the program. We started the discussion with Dr. Hertzfeld introducing us to the topic of thinking about outer space as global commons. Our guest was quick to point out that there was no real clear definition for a commons. He did go into the history of a commons going back to Roman times (see his paper for full details) and noted the difficulties in thinking about a commons today. You do not want to miss this important discussion. One thing he said was that a commons requires a sovereign to enforce the commons and set the parameters for it. Since there can be no sovereign in space per the OST (The UN is not a sovereign), then no commons can exist because no party can set the rules and limits for the commons let alone enforce them. One other point he made was that commons don't last very long. Again, listen to his discussion on these issues and more. Our guest talked about the suggestive treaty language including language found in the Moon Treaty. He also said that referring to the Outer Space Treaty by that shortcut name or the OST, misses the point of the treaty. The full name of the treaty is "Treaty on Principles Governing the Activities of States in the Exploration and Use of Outer Space, Including the Moon and Other Celestial Bodies." Henry focused of the fact that the treaty was about nation states exploring and using space, the purpose of which is often overlooked due to shortcut references and languages. Our guest and his two co-authors go over these matters in detail in the paper and Henry summarized these important points during the discussion. Listeners had several email questions for our guest. Kathy wanted to know if there were any implication for commercial space in what he was saying about the commons argument. He said no but listen to all of what our guest had to say on this topics. Several questions, including comments from me, dealt with the emotional side of commons and how it has been used regarding space. Our guest had much to say about the emotional side of the commons discussion so don't miss it. He also referenced the Law of the Sea Treaty and its relationship to a commons, then Jack asked about lunar historical site protection as a possible commons area. Once again don't miss what Henry said about this given nobody has sovereignty in space and a commons requires a sovereign as explained earlier. Listener Sally sent in a note suggesting a better job of education and educational outreach was needed regarding these issues. The same for a better understanding of space law issues. Regulatory issues came up, especially around safety of operations and not interfering with others activities in space which is addressed in the OST. Our guest did go a long way in clarifying many of the misconceptions most of us have in space law, including around the topic of resource utilization. He talked about what other nations were doing in this area such as Luxembourg. This discussion then led us to talking about planetary protection. Dr. Hertzfeld was quick to point out that planetary protection policies were not treaty law and were considered soft law which he explained. He talked about the need to avoid contamination and that should a company or private actor want to go to Mars with humans and the policy was no, it would likely result in negotiation given the soft law aspect of the policy. Don't miss all of what Henry said on this topic. Do let us know what you think by posting your thoughts on our blog for this shoe. In the second segment, we switched topics with an email from Josh in Tucson wanting to know if Henry had change his opinion or the economics and potential profitability of rocket reusability and the lowering of launch costs. Do not miss what Henry said and explained. Briefly, the economic questions are still unanswered but listen carefully to what our guest had to say and see how he evaluated the what has been happening in the launch industry to date. Later, we talked about substantially increasing the launch rate due to the coming online of dedicated smallsat launchers and smallsats. He said the prognosis cited by others was still an unknown. He mentioned other related issues and probable markets such as debris removal, expanding communications and imaging services plus others but again, he was quick to point out these areas were still largely unknown as they were yet to happen. Space property right came us and here our guest had some very interesting things to say, especially for US players. He referenced our history of quickly amending or passing regulations and laws to facilitate was private actors could do once the capability was in place. I asked him about the Simberg plan for property rights as well as how US space property rights could be legally challenged. Once again I urge you to listen carefully to what Henry had to say on the property rights issue. I believe it was very encouraging for those wanting to see space based property rights for the commercial sector. As we were nearing the end of our discussion, Robert in Atlanta wanted Henry's thoughts on returning to the Moon, going to Mars and LOP-G. Randy in Miami wanted to know if Henry thought the actions of China in space would supply US policy makers with a compelling reason to compete directly against China and their space activities. Then came a listener question asking our guest about the creation of a new US military force, the Space Force. Henry had much to say on the space force issue given its complexity. He said the administration should provide a clear and comprehensive assessment for congress and policy makers. They need to study the pros and cons of the issue. As far as he knew, no such study had yet been made let alone submitted to congress or any other group. Henry mentioned that space was a dual use environment with military, national security, and DOD concerns along with civil space concerns and projects, often with the same hardware and as part of the same mission. He commented on the language being used by the administration regarding making sure the U.S. was dominant in space. Henry did list many of the pros and cons because there are strong points to be made on all sides. Listen to his pros and cons and tell us what you think. The career path issues under the present way space is dealt with in the military were new to me and would be an important issue moving forward as retaining space expertise within the space community would seem to be an important priority. Dr. Hertzfeld did leave us with concluding comments regarding space law, treaty laws and more, including summarizing comments regarding the commons issue. Please post your comments/questions on TSS blog for this show. You can reach Dr. Hertzfeld through me or his GWU faculty page.